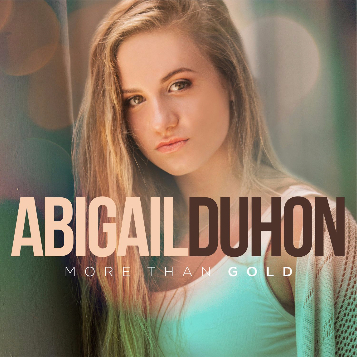 15-year-old TV and film actress Abigail Duhon has released a new EP record, More Than Gold. The EP features three tracks from her upcoming full album, I’m Living Life, expected this coming January. Her EP album includes its eponymous single, “More Than Gold,” from the official soundtrack for the feature film, Caged No More. This new EP is one that will have you dancing and feeling encouraged. Abigail’s music is something different and something that needs to be heard by this younger generation. To sum up, More Than Gold EP is something for all ages. It’s an EP that will leave you feeling refreshed, encouraged and fired up about God. Abigail is sure to make it far in the music industry.